Y'alls have a happy safe holliday season. I'm going to kick it back at my house with this fancy ottoman the misses got me, and...this fantastic gift set. I am truly a lucky man. 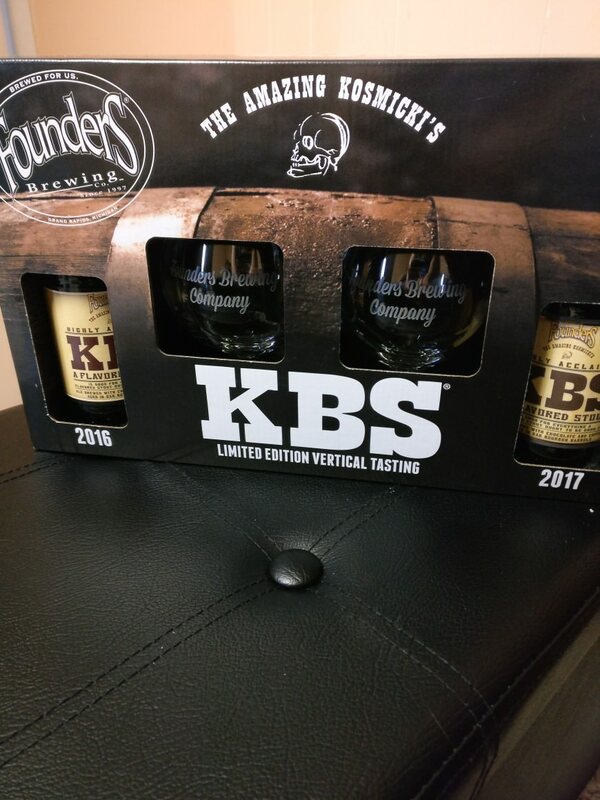 It also comes with a bung (tee hee) from one of the barrels they tapped for KBS. Couldn't be happier right now. As I get older it's not really the gifts, but kicking back, not working, and enjoying yourself preferably with whomever people you enjoy. So I think I'm going to pop open me this CBS, and enjoy some Super Turbo, and do the whole couch cuddling thing while digging into some ps4 Stardew Valley. She's been nagging me for ages to play the game (and I'm the one who bought it for her last Christmas...) and it's finally time to get around to that. Unrelated rap that just makes me feel good. Agreed it's not about the gifts at all anymore. I managed to make it up to my hometown to see my family this Christmas. First time in 6 years I've been there for xmas it was just good to be with loved ones, and to give out some gifts to the little ones. Seems like that's the full circle. You kind of get to experience the joys of Christmas vicariously through the children you're gifting for after a certain point. Sorry I didn't stop for a visit Spectere. Only had Saturday and Sunday to see everyone it was just not enough time.